Completely unrelated to this series, or the fact that my blog is robo-centric, or anything else for that matter, author CB Archer is hosting an impromptu free book bonanza under the Twitter hashtag #RobotPartyWeek. Searching this tag all week will find you random free books in a wide variety of genres, including CB's own self-styled genre of elfrotica. Later this week, CB and I sit down for a 100% wheels-off, adult-rated but still totally immature interview, which should explain a few things. PRINCESS ROBOT COMMANDER IS COMING!!! Well, I should say, book one of the series that I've been working on under the code name of Princess Robot Commander is coming soon. In fact, it is coming in May. As you may know, if you've been following the saga of PRC, the title began as a joke on this very blog and for the last three years, I've toyed with the idea of writing something using that name. But this project has had more false starts and false abandonment than anything I've written outside the original The Eyes of The Sun. But no more. As of right now, I am officially revealing that the true name of this series is not Princess Robot Commander. What is the Kyroibi? 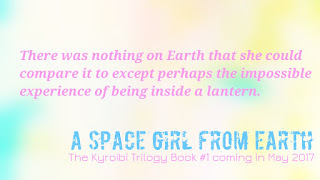 Well, that is the subject of book #1, A Space Girl from Earth, which will debut in May of this year. When she finally reached the cavern floor, Ellie again stood frozen in awe. The figures were neither men nor statues. They were robots. Androids, she believed was the correct terminology for the humanoids that stood nearly seven feet tall and appeared to have been molded to have the same structural appearance as the Eidyn people. This had to be the army Julian had mentioned. The very thought created a cold lump in Ellie’s stomach. Was that why she was here? Did the Kyroibi make her some sort of military commander? “Princess Robot Commander reporting for duty, sir,” she said with a wry giggle and haphazard salute to the row nearest her. The idea was at once laughable and yet so very frightening. The Kyroibi gave her nothing. No indication as to what it was she needed to do or how the mechanical men fit into the plans. A growing sense of dread ate at her. She was certain now that Julian should have been with her. He would have known the purpose of coming to the cold, dark world. Intrigued? I sure hope so! 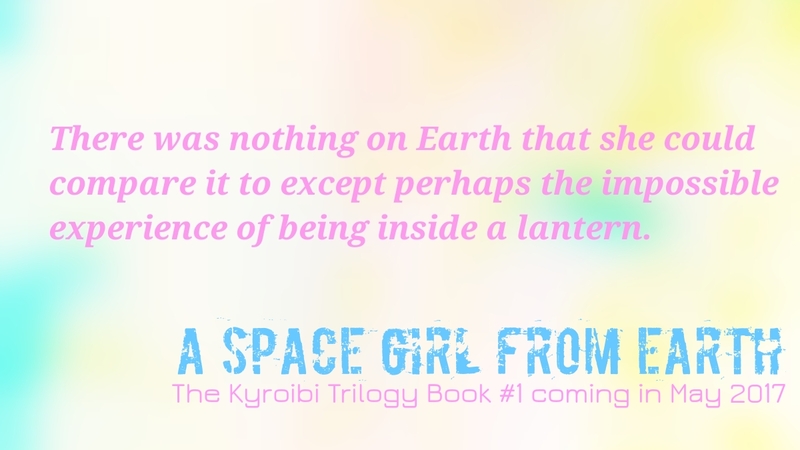 Keep an eye on this space for more news and updates on A Space Girl from Earth! And make sure to come back tomorrow for Indie Author Spotlight Day Two, when sci-fi author David M. Kelly talks about the release of his brand new novel, Mathematics of Eternity! PRINCESS ROBOT COMMANDER! I am so excited. Oh my gosh. But, where's Julian? What happened to him? When is it coming out? So many unanswered questions, Christina! How can you do this to us? I need answers!!! All of this is super exciting news! I heard this CB fellow is a bit of a scamp, and I look forward to the interview!